Since leaving the BBC at the start of the month I’ve been working on an incredibly interesting project that is trying to build a huge photo album of the West Midlands* in 2008 – The Big Picture. 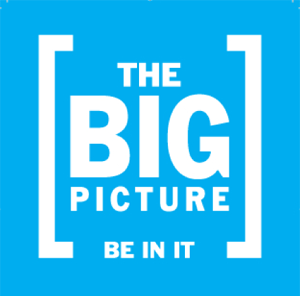 The Big Picture is a project for Arts Council West Midlands, being run by Audiences Central (who have employed me), and is in a very modern way based heavily on Flickr to hold and organise all the photos we’re gathering. The site – inthebigpicture.co.uk – has been put together by 3Form, and is doing a lot of clever stuff with the API, it can be used completely as a front end for Flickr and includes some smashing geotagging features. It launches today, so go and have a look for yourself. I’m working as Online Editor, which so far has included a lot of copywriting and decisions about how people might use the site, but I’m hoping to be able to work more off-site after launch as we’ve got some fun stuff planned for Facebook and other social media sites – and also in the real world too. For launch week we’re out and about across the region – Wolverhampton today, ending in Brum on Friday afternoon, full details on the site – do drop by and say hello if you’re around. *The West Midlands in this case includes Stoke, Staffordshire, Shropshire, Hereford and Worcester, Coventry and Warwickshire as well as the more traditional Birmingham and The Black Country.